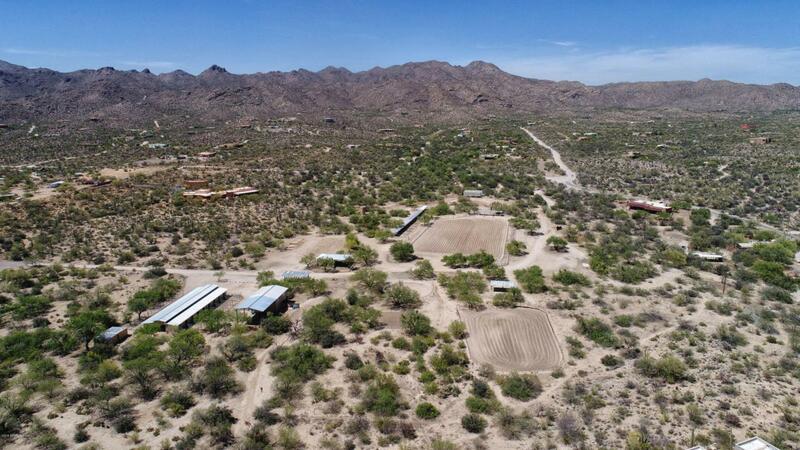 25 ACRE TORTOLITA MOUNTAIN RANCH! 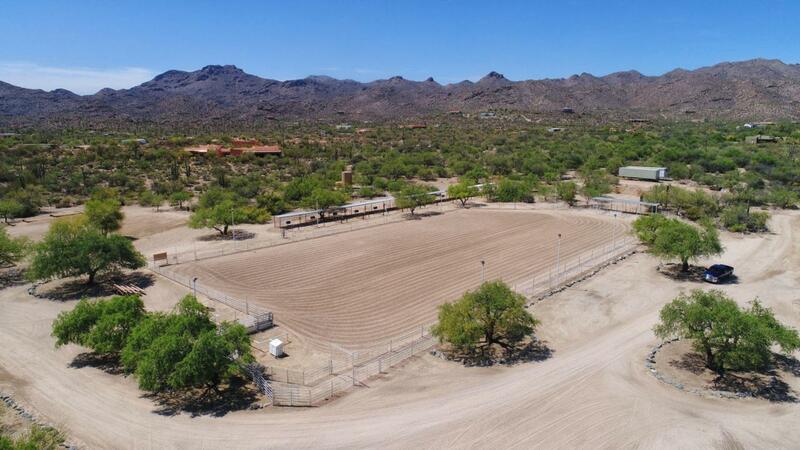 Privacy, unobstructed views of the Catalina and Tortolita Mountains, fabulous full horse facilities and a gorgeous ranch style custom home sit among the mature mesquites in a quiet NW neighborhood. An architect/builder's own property, this energy efficient 3 BR, all with walk in closets and 3 en-suite travertine baths plus a powder room boast a great room concept plan. It has a beautiful kitchen with granite, stainless steel appliances and alder wood cabinets. An awesome Tortolita Mountain rock fireplace is the centerpiece of the spacious living room. There is also a grand dining room, den/office, laundry room and oversized 2 car garage with 2 storage rooms. The home is built with strong Integra Masonry construction. (SEE SUPPLEMENT) More...The most beautiful colored scored concrete floors flow throughout the home. Mud adobe, distressed French limestone, high ceilings and huge windows are only some of the exquisite artistic touches from the architect. 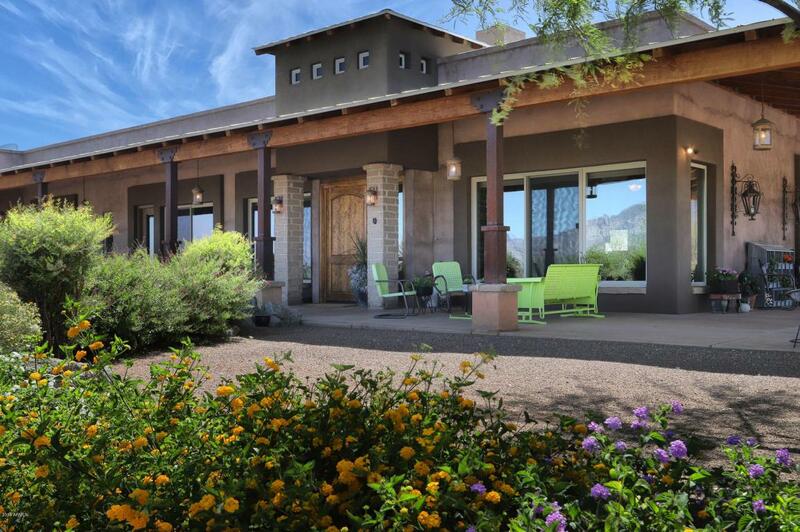 There are over 6,085 square feet under roof including the expansive porches. They are incredible with over 2,100 square feet of enticing space with metal roofing and rusted steel columns which add an appealing rustic flair to the home. It is a true entertainer's delight inside and out and all within minutes of the finest amenities. The rare, extensive horse facilities include a full size lighted 150' X 300' arena, a second 75' X 100' arena, 2 round pens, a MD 18 stall barn all with outside pipe corrals, a large covered, lighted ramada with a masonry fireplace, a hay barn, covered and lighted wash rack, covered farrier/vet structure, an office, 3 half baths for riders and guests, full RV hookup, tack rooms, one mile of trails on the property and it is zoned for a commercial boarding facility. There are many new and updated amenities on the property including new HVAC units, a water softener, water heater, roof coating, electric gate controls and more. 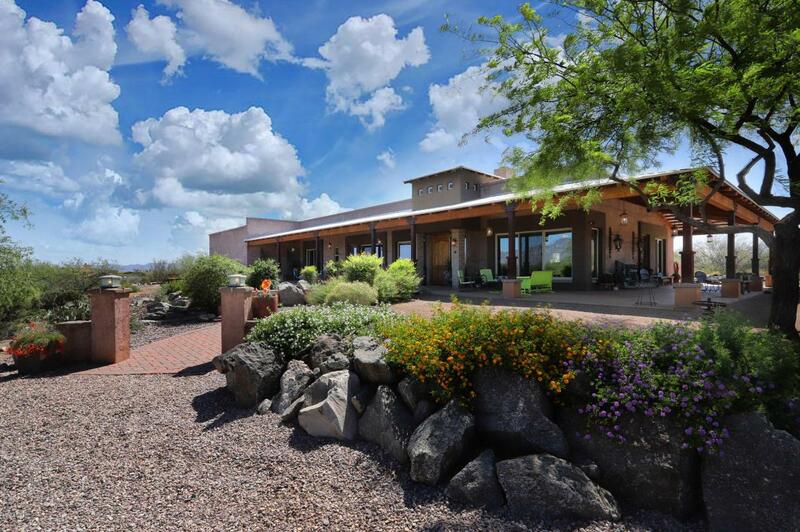 This ranch is a marvelous, unique, private ensemble of elegant comfort and professional horse facilities that anyone, and equestrians of all levels, would be thrilled to call home. Arrange a private showing today.